2017 CMA Fest "Music City Stage" Performers Revealed! 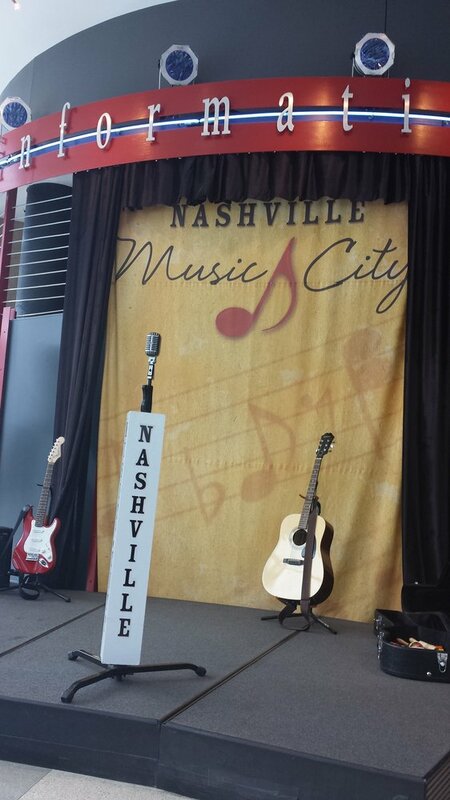 Last year, the CMA branded the small stage at the Nashville Visitor Center inside the Bridgestone Arena Tower as the "Music City Stage!" This little stage is a great place to hear up and comers while cooling off in the air conditioning! It has been a lesser known stage in the past so it wan't very crowded! It was a great place to grab meet and greets too! We met Lindsay El there a few years ago! This year's line up includes: Jimmie Allen, Sammy Arriaga, Kassi Ashton, Maggie Baugh, Brennley Brown, Brian Callihan, Dallas Caroline, Jessie Chris, Julia Cole, Nora Collins, Dalton & the Sheriffs and Shelly Fairchild. We expect the full schedule for these performances to be released soon and we'll be sure to add them to our schedules as soon as they are!